In New Jersey, when a driver is arrested and convicted of driving while intoxicated, there are multiple penalties that he or she will face as a result. Depending on the blood alcohol content that is measured in their system, the penalties will vary. One of the punishments that is a part of every conviction, however, is a driver’s license suspension. 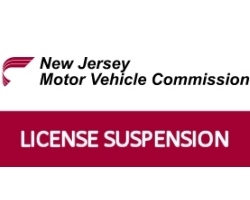 If a driver’s license is suspended, that means that it is illegal for the driver to operate a motor vehicle. Period. Having one’s driving privileges suspended is an inconvenience and it is intentionally so. Because DWI is an act that carries with it the potential for serious damage to other motorists, pedestrians and property, it is treated very severely to punish those who are caught and to act as a deterrent from them repeating the act. If a person chooses to drive while their driver’s license is suspended for DWI, the penalties they will face are levied on top of the others they were confronted with for the initial traffic offense of DWI. 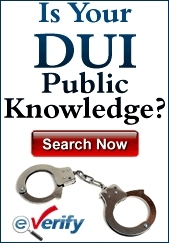 When a law enforcement officer suspects a driver of committing a DWI, a traffic stop will be made. Swerving in and out of traffic, disobeying traffic signals and driving recklessly are just some of the reasons that an officer will make a DWI stop. Upon investigation, the officer will look for clear signals that are indicative of a driver committing DWI. These include bloodshot eyes, slurred words and the odor of alcohol. Some drivers even have an open container in their vehicle. After that, the officer will give the driver field sobriety tests such as the Walk-and-Turn test and the Horizontal Gaze Nystagmus Test. Then there will be the breathalyzer test. If a driver age 21 or over registers 0.08% or higher, there will be a DWI arrest. For commercial drivers, the level is 0.04%. For drivers under the age of 21, the BAC level to warrant a DWI arrest is 0.01%. Once the arrest is made, the driver will face the penalties for DWI in the event of a conviction. A driver convicted of a first offense DWI with a BAC of 0.08% and below 0.10% will face the following penalties: a driver’s license suspension of three months; $1,000 per year in surcharges for three years; $75 to the Neighborhood Services Fund; $100 each to the drunk driving fund and the Alcohol Education and Rehabilitation Fund; $230 to the Intoxicated Driver Resource Center (IDRC); and up to one month in jail. With higher BAC levels, the penalties increase as they do with subsequent DWI convictions. Drivers whose licenses were suspended for DWI will face stiffer penalties if they’re caught driving illegally. There are baseline penalties if a driver is caught driving with a suspended license for any reason and they’re worse if the driver had his or her license suspended for DWI. For a first offense of driving with a suspended license, the driver will be fined $500. A second conviction costs $750. A third costs $1,000. There will be a special assessment fee of $250 per year for three years. For a second offense and any offense after that, if it happens within five years of the first, the driver’s privileges to register the vehicle will also be revoked. The judge is allowed to extend the suspension for as many as six months. If a driver is convicted of driving while suspended the first time, there is not going to be jail time. For a second time, there will be up to five days in jail. For a third offense, the jail time is up to ten days. A driver who drives while suspended and injures someone in an accident will face six months in jail. These penalties are just for a basic driving while suspended and are applicable if the driver has not has the driver’s license suspended for DWI. If the suspension was for DWI, the listed penalties will be assessed as well as other penalties. The judge will increase the fine by $500 and the driver’s license suspension for at least an extra year and for as much as two years. There will be a jail sentence of 10 to 90 days and the driver’s rights to register the vehicle will also be suspended.